Donald is a young fisherman, eking out a lonely living on the west coast of Scotland. One night he witnesses something miraculous, and makes a terrible mistake. His action changes lives--not only his own, but those of his family and the entire tightly knit community in which they live. Can he ever atone for the wrong he has done, and can love grow when its foundation is violence? 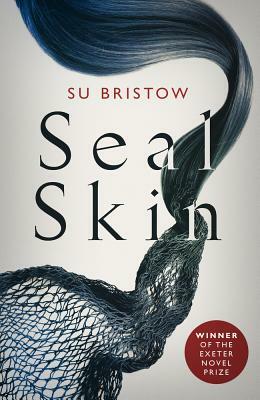 Based on the legend of the selkies--seals who can transform into people--evokes the harsh beauty of the landscape, the resilience of its people, both human and animal, and the triumph of hope over fear and prejudice. With exquisite grace, Su Bristow transports us to a different world, subtly and beautifully exploring what it means to be an outsider, and our innate capacity for forgiveness and acceptance. Rich with myth and magic, Sealskin is, nonetheless, a very human story, as relevant to our world as to the timeless place in which it is set. Su Bristow is a consultant medical herbalist, the author of The Herbal Medicine Chest and coauthor of The Courage to Love.